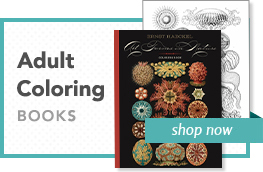 Puzzle size: 27 x 18 in. 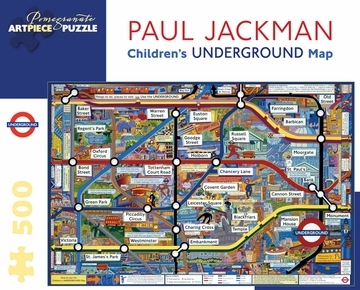 The bright, playful map on this puzzle invites children to follow Ringo, the London Transport mascot, on an educational and fun journey around contemporary London, with stops at Ringo’s favorite places. 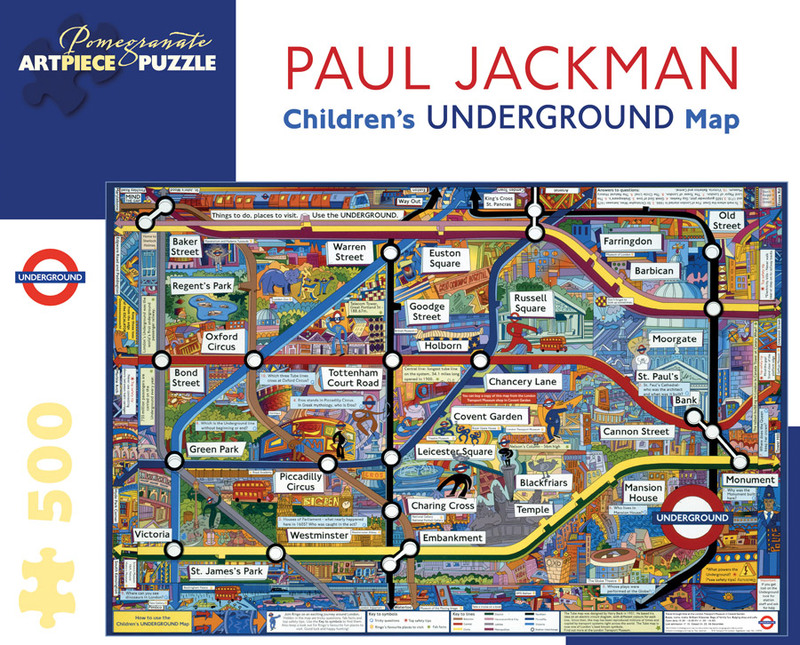 Along the way, puzzle solvers learn about travel on the London Underground—Europe’s third-busiest metro system—and encounter “tricky questions, fab facts and top safety tips.” The puzzle image was created by Paul Jackman in 1997; it is from the collection of the London Transport Museum, one of the finest poster archives in the world.